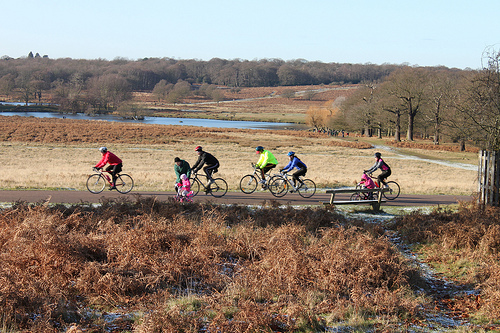 2Wheel Chick: It's official - Richmond Park is Britain's cycling Mecca! It's official - Richmond Park is Britain's cycling Mecca! So Strava has released its insight report on cycling and running activity in the UK for 2015. Some of the statistics confirm our perceptions: the most number of cycle commuters are in London. The hilliest cycle rides are done in South Wales (though I thought Yorkshire and Cornwall would be up there as well); the fastest rides were done in flatter regions like Lincolnshire and Cambridgeshire. The statistic that is most salient are the 65,000+ rides uploaded within Richmond Park during 2015, easily surpassing the second most popular area for cycling, Box Hill, Surrey, the main battleground during the London 2012 Olympics cycle race. This South-West London park (also included in the routes for the London 2012 Olympics cycle races) registered the highest number of uploaded Strava segments in 2015, with 33,226 rides recorded on Sawyers Hill - the climb up to Richmond Gate from Roehampton Gate, Broomfield Hill on the opposite side of the park, with 17,409 rides, and 15,042 rides uploaded for the Tour of Richmond Park. I, like many riders have been going to Richmond Park for cycle rides for years. It's a great place to do circuits of this vast green space. For a club cyclist the 7-mile loop on the perimeter road is a good mini time trial to measure fitness. Multiple laps of the park make a great training ride or a club run. When I go there, I cycle the 10 miles through South London to reach Roehampton Gate, do three laps and then ride home again, thus making it a decent 50-mile work-out. For newer riders one lap is a good start-point when getting into cycling. Furthermore there are various family rides, including the Tamsin Trail which is an off-road route completely removed from traffic, so great for less confident cyclists. If you don't have a bike there is a place that hires out a variety of adult and kids bikes at Roehampton Gate. And as you ride around there are places to stop for tea, say hello to the deer or marvel at the landscape and the views from near Pembroke Lodge. What is there not to like about going to Richmond Park? Well, in recent times the police have cracked down more in reinforcing the 20-mile-per-hour speed limit to all vehicles including cyclists (much to the annoyance of amateur racers). Indeed, there have been cases of cyclists being fined for speeding through the park. In addition, disputes between motorists and cyclists have been on the rise as the roads become ever increasingly congested, particularly on sunny days at the weekend. In fact the local MP (and London Mayoral candidate), Zac Goldsmith held a meeting just over a year ago in an effort to resolve tensions between the different park users. So with that in mind I thought that the number of cycle trips around Richmond Park would be on the decline in favour of other areas such as some of the quieter scenic roads in Yorkshire, Cheshire or the Lake District. Wrong. 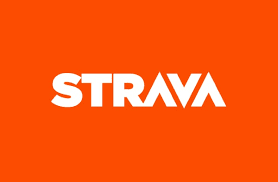 All of the most popular Strava segments in this report are in the South-East of England, with the top 10 being completed by roads around Hampton Court and the Surrey Hills, plus Ditchling Beacon - a climb ridden during the popular London to Brighton cycle event. Perhaps the publication of this "ranking" may make people in other regions stand up for their local popular cycling areas and come out in support in order to gain "league table promotion"! Afterall, Tatton Park in Cheshire easily rivals Richmond Park in the cycling attractiveness stakes. I have no idea if this article has incited more people to ride in Richmond Park, fewer people to ride in Richmond Park, more people to defect to somewhere else. Mind you, looking out of the window on this grim rainy day I think it is the couch and the turbo trainer that might just be the winners!